Home / Community / Yes, You Can Enjoy Flu Season! A flu shot at Changing Seasons Home Health can help you stay healthy all season. Ahh winter! The crisp air, holiday cheer, and the flu. The aches and pains, coughs and sneezes, and…..everything else. 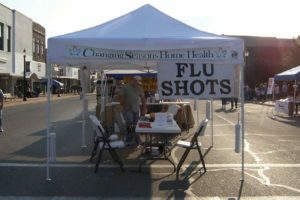 With a flu shot, however, you can avoid most of the prevalent varieties of influenza making the rounds each season. Each year, Changing Seasons Home Health makes it quick, easy and affordable to get protected from the flu.